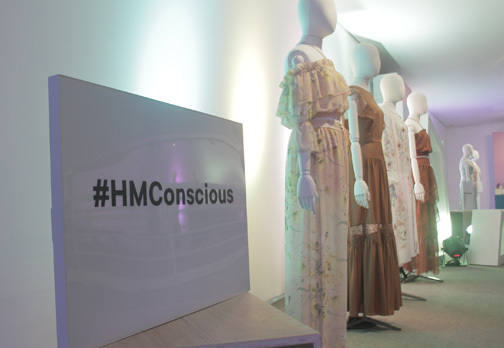 H&M celebrated its new Conscious Exclusive 2019 collection with a regional launch here in the Philippines thru an exhibit and insightful panel discussion at the Metropolitan Museum of Manila recently. Southeast Asian and local celebrities, industry trailblazers, influencers and members of the media attended the event which showcased a preview of the collection. The panel discussion put to light the topic, Dress for a sustainable fashion future – challenges, triumphs, and way forward, with regional personalities sharing their inputs on sustainable fashion including Piñatex Founder Dr. Carmen Hijosa and Fashion Revolution Country Coordinator for Singapore Laura Francois. Hijosa, a leathergoods expert who was consulting on the Philippines leather export industry in the 1990s, was exposed to the environmental impact of mass leather production and chemical tanning, which led to her drive to research a sustainable alternative. Inspired by the abundance of natural resources, including the use of plant fiber in traditional weaving such as the delicate Barong Tagalog garments, Hijosa sought to create a new, non-woven textile that could be commercially produced, provide positive social and economic impact and maintain a low environmental footprint throughout its life cycle. Thus the birth of Piñatex. 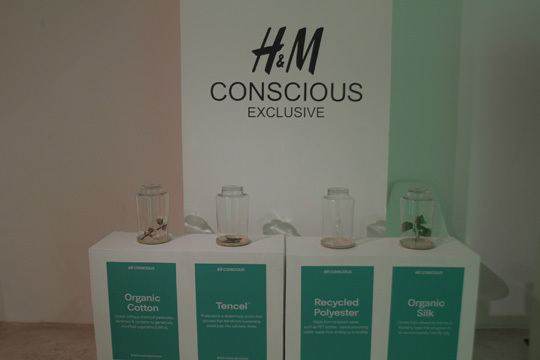 Moreover, the new H&M Conscious Exclusive Spring 2019 collection introduces three new innovative sustainable materials for this season: Piñatex®, a natural leather alternative made from cellulose fibers extracted from pineapple leaves; BLOOM™ Foam, a plant-based flexible foam using algae biomass; and Orange Fiber®, sustainable silk-like fabrics made from citrus juice by-products. Piñatex®, according to Hijosa is 100% harvested in the Philippines. The global fashion brand also shared that 57% or more than half of the materials that the H&M Group uses to make all its products are created using recycled or other sustainably sourced fibers, according to the company’s Sustainability Report 2018. It highlights the company’s progress towards its vision to use its size and scale to lead the change towards a circular and renewable fashion industry, while being a fair and equal company. The new Conscious Exclusive collection is inspired by the natural beauty surrounding us and nature’s importance for our well-being. Minerals, trees, and plants have been translated by H&M’s design team into beautiful prints and matching color palette, while also embracing innovation with sustainable materials and processes for a more sustainable fashion future. 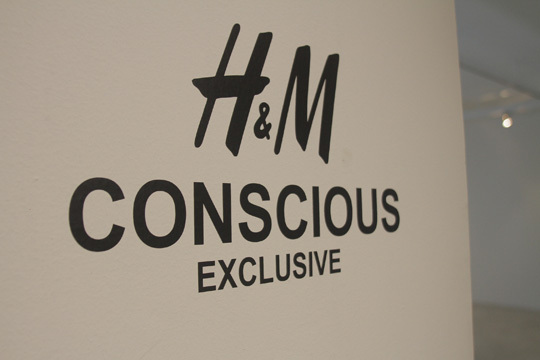 Launching on April 11th, the Conscious Exclusive collection will be available in H&M Greenbelt 4, while the more affordable Conscious Spring collection in select stores in the Philippines and online at hm.com.